Can Carpets Be Saved after Water Damage? When it comes to water and your carpets, the two don’t usually go well together. If you are dealing with a small spill, then it is a quick and easy fix. However, if your carpets come into contact with large amounts of water due to flooding, then that’s when you need to worry. When lots of water comes into contact with your carpet, you have to worry about mold and water damage. If you have wet carpet due to water damage, then you are probably wondering if you can save your carpet. How Long Has It Been Wet? Like anything else that has water damage, the amount of time plays a big factor. The faster you can dry out your carpets, the more likely it is that you can save them. If your carpets have been wet for 72 hours or more, then it is best to throw them out. After you hit the 72-hour mark, the chances of mold go up significantly, especially if you have padding. There are three different categories of water when it comes to flooding. The first category is clean water (sink, tub, or supply line). If the water comes from this category, then your carpets have a greater chance of being saved. But if the water comes from a category three (sewer, toilet, or outside water), then you will have to throw your carpets out. It is best to call water damage professional to know what type of water you are dealing with. One thing you may not think about is how old your carpet is. If you have older carpet that has come into contact with water, then it is best to replace it. Older carpet is more broken down and adding water will just cause your carpets to wear down more quickly. Newer carpet can handle water a little better due to stronger fibers. Carpet padding is where mold will start to grow first. If you have carpet padding, you may be wondering if you can just replace the padding and not all your carpet. In most cases, you can replace just the padding without having to replace all the carpet. No matter whether or not your carpet can be saved after water damage or not, it’s imperative that you clean up after a flood. The faster you get to the clean-up process, the more likely it is that your carpet and other items can be saved. While you can do a little bit of water restoration yourself, it is generally best to call the professionals. A professional water restoration company will be able to tell you if your carpets are salvageable, and they can clean up quickly. If you have experienced any type of water damage, then call the experts at Kelley Klean. 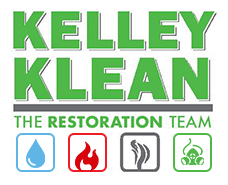 Kelley Klean will restore your home to its pre-flood state. Don’t wait until the flood waters have settled to call Kelley Klean. Contact Kelley Klean today! Mold is one of the last things you want. It is difficult to get rid of and can cause serious issues. It can also increase asthma symptoms and upper respiratory infections. The number-one place for mold growth is in your bathroom. The moist environment makes it perfect for this bacteria to grow. Going a little bit deeper, your tile’s grout in your bathroom is where you will see mold at first. Why is it that grout and mold seem to go together? These are the top reasons why grout starts to grow mold. 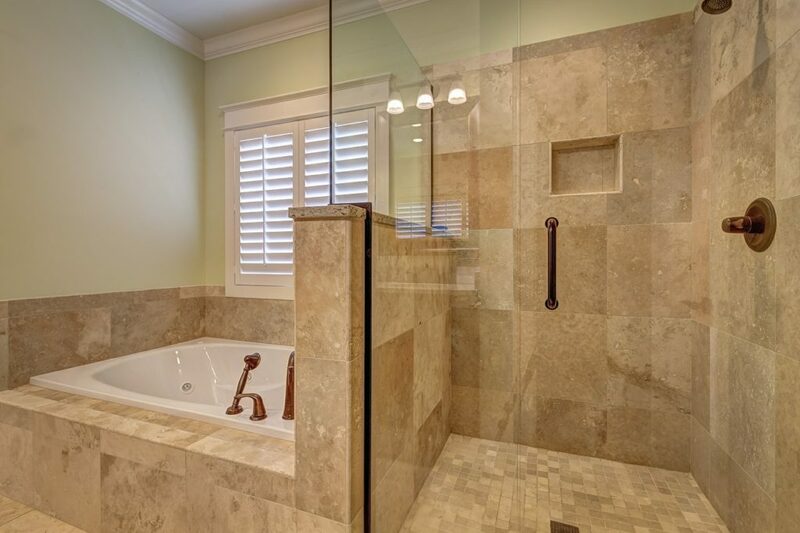 The majority of bathtubs and showers have some tile. Where there is tile, there is grout. Your shower and bathtub encounter a lot of body oils and soap scum. The body oil and soap scum that wash off your body are the perfect food for mold. When your grout comes into contact with both of these items, it starts to grow mold. To prevent growth from body oils and soap scum, you should wash your showers and bathtubs regularly. You can use any store-bought shower and bathtub cleaner. After cleaning your shower, you will want to wipe down the shower and bathtub with a dry towel or cloth to get rid of the extra moisture. Leaving shampoo, soap, and other items on your tile and grout can lead to a moldy growth. This type of growth can be worse if these items are wet. Items that sit on top of other wet items tend to take longer to dry and can trap water. This extra moisture can lead to bacteria growth on grout if these items are sitting on tile. To minimize the chance of mold growing from other objects, it is best to store these items elsewhere, like on a higher shelf. It is also a good idea to make sure that the item and tile are dry before setting the item down. Broken grout can cause mold growth. When grout starts to break down moisture can easily get underneath your tile and provide the perfect environment. The best way to fix this issue is to have your grout replaced every six months. Replacing grout will help your bathroom feel clean again. The best thing you can do when you start to see this type of growth in any part of your house is to take care of it. The longer you wait to get rid of it, the more damage it can do. You can clean it yourself with a bleach and water solution. However, this doesn’t always get rid of it completely. In order to get rid of mold completely, you need to find the source. In some cases, you may be able to find the source yourself, but most of the time you will need a professional. If you are dealing with this issue on your grout or somewhere else in your home call the professionals at Kelley Klean. Kelley Klean will find the source of any mold growth and take care of it for you. Have you had standing water in your home recently? Whether it’s from a storm or a leaking pipe, flooding can cause unnecessary headaches. Dealing with water damage can become worse when the carpet is wet. Wet carpeting can lead to mold growth. It does not take a lot of water for mold to start growing. If you follow these simple steps, it will reduce the chances of mold growing under your carpets. The first step in treating any water damage is to clean it up quickly. Allowing moisture to sit underneath your carpet for an extended period of time increases the chances of mold. You should try to deal with water damage within 48 hours. It is best to use a wet vacuum first to remove all the excess water. Having good airflow in the wet area helps to dry the area more quickly. Opening windows and using high-power fans will let the area dry faster. You will need to be patient when it comes to drying out your carpet as it does not happen overnight. When you think the carpet is dry, you should continue to run the fans for 24 hours for at least a week. Taking this extra step will help ensure no mold is growing underneath your carpets. When your carpet gets hit with water, the area that gets the most damage is your carpet padding. Your carpet padding absorbs most of the water, and it is hard to remove all the water. After your carpets are wet from water damage, you will want to replace your carpet padding to reduce the chances of mold growth. Steam cleaning your carpets is an important step to prevent mold. When you steam clean your carpets, it pulls the toxins out of the carpet. The toxins that are removed are the same toxins that can cause mold growth. You can steam clean your carpets yourself or call a professional. To help prevent mold from spreading, you should sanitize your walls and baseboards. If mold starts to grow on your walls and baseboards, it can spread to the carpeting. Be sure to use a cleaner that will get rid of mold. You may have to call the professionals. After water damage, there could be excess moisture in the air that you are unaware of. Running a dehumidifier will eliminate any moisture in the air that can cause mold and mildew to start growing. A dehumidifier will also help dry out the area more quickly. Following these steps will help reduce the chances of your carpets growing mold underneath them. However, the safest way to get rid of mold completely after water damage is to call the professionals at Kelley Klean. Kelley Klean will not only make sure to take care of your damp carpets, but they will also take care of any other damage from water that you cannot do yourself. Contact Kelley Klean today for more information. Mold is a nasty bacteria that you should not have to deal with. Hopefully, you will never have to deal with a home mold problem. However, mold sometimes unavoidable in your home. The best way to prepare yourself for home mold is to know what type it is, where to find it, and how to cope with your mold problem. You may not know that there are different types of mold. The first step in dealing with mold is to determine which kind you have. Here are the different types of molds and where you can find them. Alternaria is a common bacteria found both indoors and outdoors. This type of mold likes damp, interior areas such as the sink and shower. Outdoors you will find Alternaria in dark and dimly lit areas. If you have Alternaria bacteria, you may experience health problems such as asthma attacks and allergic reactions. Aspergillus is a very common indoors. It likes damp areas such as bathrooms. With Aspergillus, you may experience minor health issues if you inhale it. Aspergillus can cause serve health issues such as respiratory infections, allergic reactions, and inflamed lungs. Auresobasidium is a typical indoor and outdoor mold. You will most often find it on wooden furniture, surfaces, painted walls and wallpaper. Auresobasidium is a spotty substance that is pink and black in color. Since Auresobasidium is a very common mold, you are more likely to develop an allergic reaction. Chaetomium is identified by it musty or old odor. You can typically find this type of mold in the drywall that experiences water damage. Chaetomium can cause some health problems. Most homeowners can discover Cladosporium inside their homes. 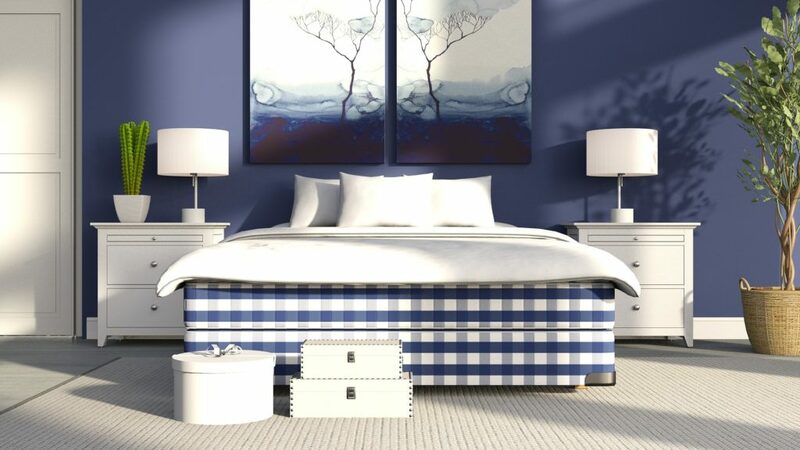 This type likes both cool and warm areas like carpet, wood floorboards, wooden cabinets, and older fabrics. Exposing your family to Cladosporium can cause breathing problems and respiratory issues. Fusarium likes to grow in colder and wetter areas. You will typically find fusarium in carpeted areas and similar fabrics. This type can cause the usually allergic reaction as well as respiratory infections and inflammation. You will find Penicillium inside your home. It likes to grow inside insulation, furnishings, water-damaged furniture, carpeting, and more. Penicillium multiplies throughout the house, causing sinus infections, lung inflammation, and allergic reactions. 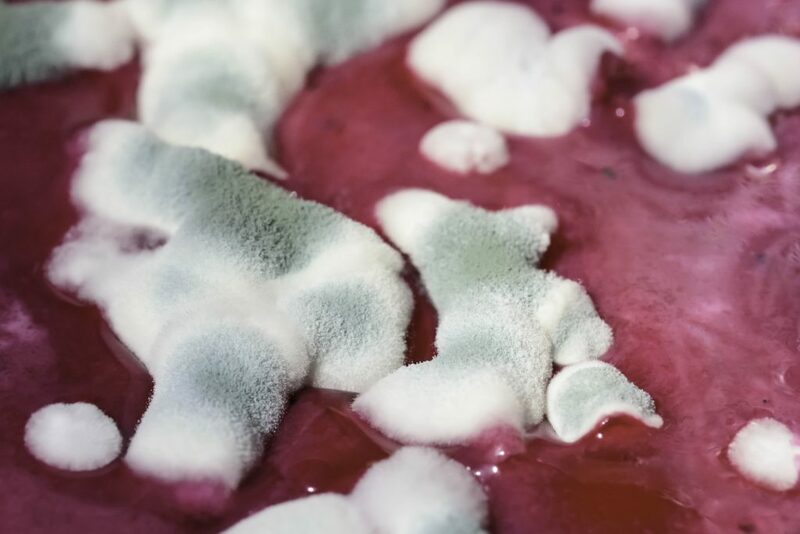 Stachybotrys Chartarum is also known as black mold creates toxic compounds known as mycotoxins. If you breathe in this toxin, it can cause breathing issues, sinus infections, depression, fatigue, and asthma attacks. The way to identify black mold is by the musty smell. You will find this type in areas that stay damp like air conditioning pipes and ducts. It is never pleasant to find mold in your home. However, the best thing you can do once you discover home mold is to call the professionals. Calling the professionals is the best plan of action. To restore your home call Kelley Klean today at 573.559.3197. There are many reasons why you may get mold growth in your home. Mold needs darkness, warmth, oxygen, moisture and a food source to begin growing. A food source can be something as simple as drywall, fabric or wood. Most of what mold needs is already in place in your home and it is only an increase in moisture that is needed to set the mold off. High humidity caused by the weather could start mold growing, or if you use a humidifier, keep the level below 55% humidity to reduce the chance of mold starting. Water leaks in your home such as in your pipes or roof can result in mold starting it’s life-cycle in your house. Check for areas in your home that might have high condensation, especially if this runs off onto a carpet or an area covered by wood or fabric as this could be an excellent breeding ground for mold. Damp clothing, damp rooms, flooding and even water accumulating around the foundation of your home could all start mold growing in and around your home. Mold can be kept under control by regular maintenance of water pipes and areas of dampness. Do not leave wet clothing lying around for long and dry up water spills as quickly as possible. Mold only needs around 24 hours of increased moisture to begin growing. If it is possible to reduce condensation and humidity in your home, this is also something to consider. Lower condensation in warmer rooms, lower humidity percentage and dryer air will reduce the risk of mold spores gaining a foothold in your rooms. Treating mold growth in your home differs depending on the material that the mold is growing on. Some surfaces, such as painted walls, can be wiped clean of mold and use a solution such as vinegar, borax or ammonia (check detergent specifications) to clean the surface thoroughly of mold spores. Mold growing on drywall cannot be removed efficiently and this should be cut out and discarded and the drywall replaced. Mold on your ceiling and other surfaces can be wiped off with detergents to remove the spores unless it is a porous material. On porous materials, it is best to remove the item or section of ceiling etc. completely and replace it as you cannot remove mold from porous materials. It is recommended that you bring in a professional when you suspect mold inside your walls and HVAC systems as these will be need to be thoroughly checked and professionally treated. Mold can also be found on the top of ceiling boards, under floors (especially wood flooring), in your air ducts, in insulation, on windows and frames and is often found in basements that are not well aerated and might retain moisture. While it is impossible to eliminate all mold spores from your home, you can reduce the number of mold spores by cleaning and vacuuming your home often, reducing levels of moisture, eliminating leaks, allowing sun and air into your home (UV kills mold) and keeping your home cool where possible. Mold needs a combination of heat, moisture, dark, oxygen and something it can eat to start growing, if you eliminate any of these factors, you can significantly reduce the chance of mold growing in your home. 1) First, the size of the affected area is a big factor. It’s one of the first considerations when trying to figure out the cost of mold remediation. The larger the property size, the greater the cost usually is. Inspecting the entire premises is an important first step in mold remediation services because mold spores are easily transferred. 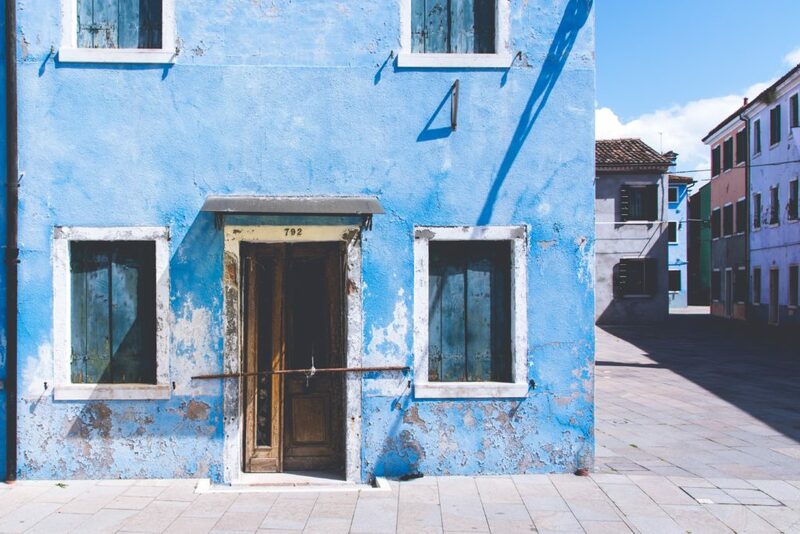 When your home takes water damage, the restoration service team will take steps to make sure mold doesn’t take hold at that location, so that would be the last place you should expect it to start. Mold often begins in some hidden place – such as inside a will or under a floor, where a small pipe leak is slowly letting out moisture. When restoring water damage, many services will use infrared sensors to check for hidden pockets and clean them before the infestation has a chance to spread. 2) Removal costs more than a clean-up, depending upon the severity of the mold infestation; this too will affect the cost of remediation services. If all you need is a simple cleaning, the restoration people can come in with high-grade antimicrobial products and scrub-brushes and … voila! Mold is gone. 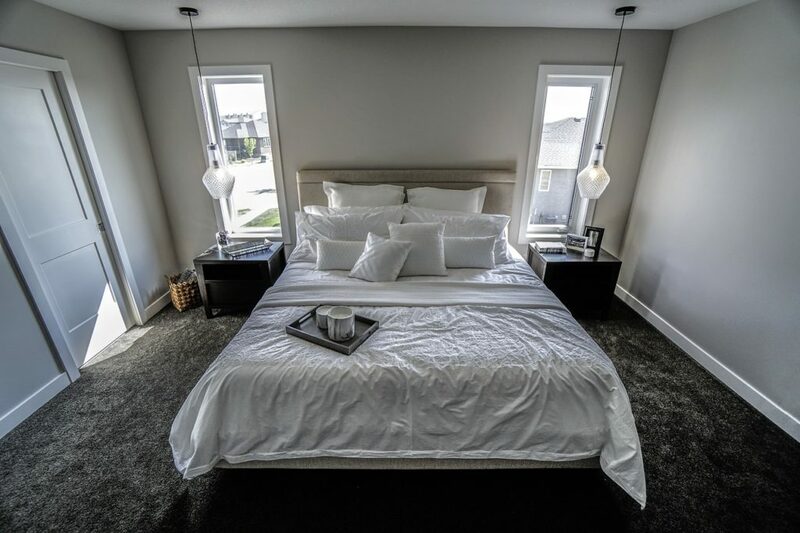 But when they have to remove and replace larger portions of drywall and/or carpeting, this will drive up the cost because of labor and purchasing fresh replacement materials. 3) The type of mold (black mold or some other fungal infestation) is another factor the remediation service will take into consideration. Also, the source of the water damage that caused the mold to grow. Remediating mold caused by a burst pipe is usually cheaper than when it is brought on by sewage backup or other water contaminated by a hazardous substance. The greater the hazard the more precautions there are that must be recognized by the technicians to reduce health risks to themselves during the cleanup procedures. 4) When mold is found in the HVAC system, things get more complicated. The removal procedures become more costly in this case because not only must the ducts be cleaned and sanitized (or replaced), but the heating and air conditioning systems must be wholly treated as well. 5) Dealing with insurance claims can be tricky. Mitigating the costs of mold remediation is possible if you have the right kind of coverage listed in your homeowner’s policy. Some insurance companies list water damage without the mold remediation. Others may cover mold but only within certain circumstances. If mold is listed in your policy, then it is important to know how to submit a claim. Best case scenario, find a remediation service that works directly with the insurance company through the claim filing process.